I have been coloring my hair since forever and L’Oreal Paris Excellence Fashion is my go-to brand. 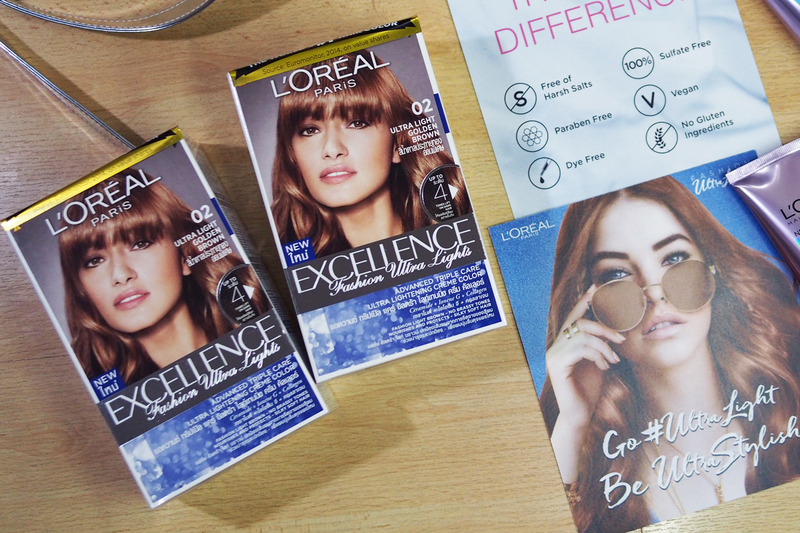 So you can imagine my excitement upon receiving the new L’Oreal Ultra Light Hair Color in 02 Ultra Light Golden Brown – I immediately went out to get a second box! I have longer hair now and one box is good for around shoulder length hair. I use two boxes with this hair length which is nearing the middle of my back. There are three shades in the L’Oreal Ultra Light Hair Color line chosen especially for Filipinas: 01 Ultra Light Natural Brown, 02 Ultra Light Golden Brown, and 03 Ultra Light Ash Brown. I’ve had friends try out the Ash Brown and Natural Brown shades since I first posted about the line on Facebook so I’m pretty excited to experience the Golden Brown shade. It has always been an issue trying to get that lighter hair color especially when you’re hair coloring at home. I also don’t really want to mess with bleach as I’ve seen the damage it can cause to your hair. Thankfully with this line, I don’t have to worry much about drying out my hair. Just follow the instructions included and enlist the help of a friend. The L’Oreal Ultra Light Hair Color Line is advised to be applied on your hair by someone other than you. 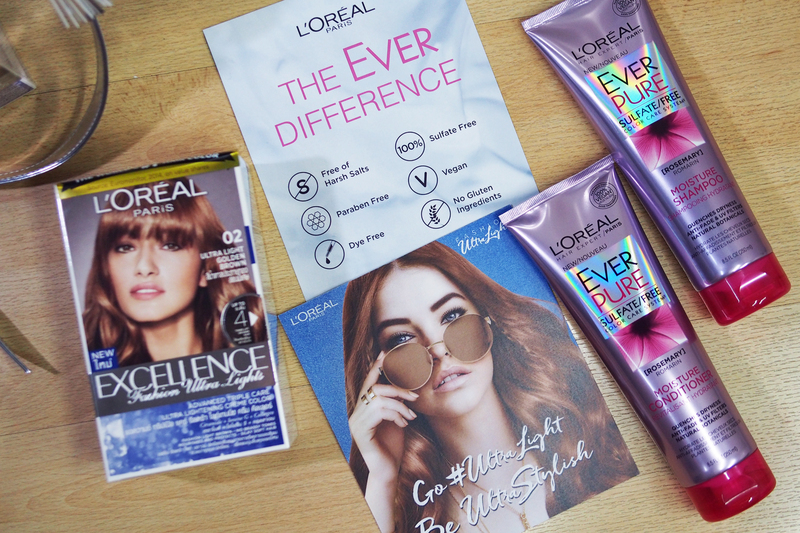 Speaking of getting that extra helping hand, L’Oreal Paris has also come out with a new line-up of sulfate-free shampoo and conditioner, the Ever. In this line, we have Ever Pure with Rosemary Flower and also one with Marula Oil – these two varieties serve to hydrate and to smoothen respectively. I have been using the Ever Pure with Rosemary Flower set for a while now and my colored hair always looks and feels well-moisturized, especially if I follow up the shampoo with the corresponding conditioner. The packaging earns extra points from me as well because that pretty purple is a lovely sight in my bath. The other two variants are Ever Strong with Rosemary Leaf that over time has a volumizing and strengthening effect, and Ever Sleek infused with Sunflower Oil providing lots of vitamins that would make hair resilient even in the face of constant treatment. I’ll be sure to try out the Ever Strong variant next as I have thin hair and I would love to have a little extra volume. The Ever product lineup apart from being 100% free of Sulfate doesn’t have any harsh salts, gluten, dyes, and paraben. It delivers on care you’d normally expect from products that make use of those chemicals. 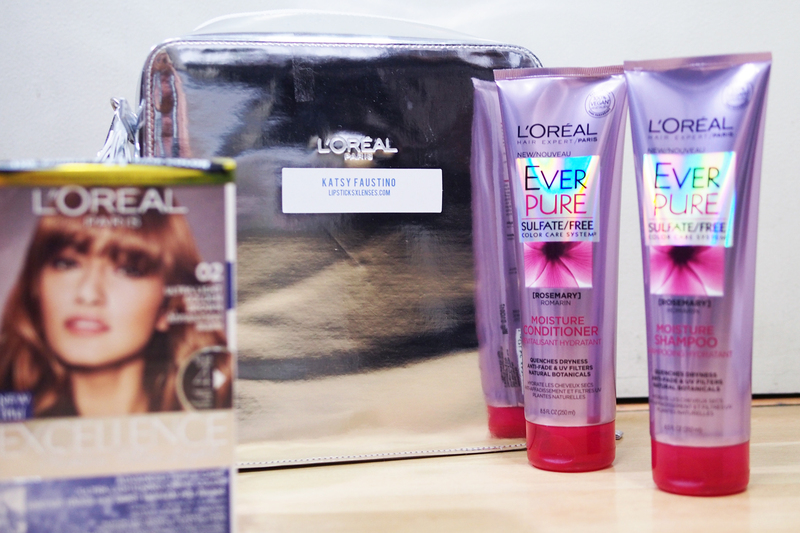 Thank you L’Oreal for consistently coming out with these exciting hair products! I know we love our makeup here but we really have to remember our crowning glories as well! Do you color your hair at home? 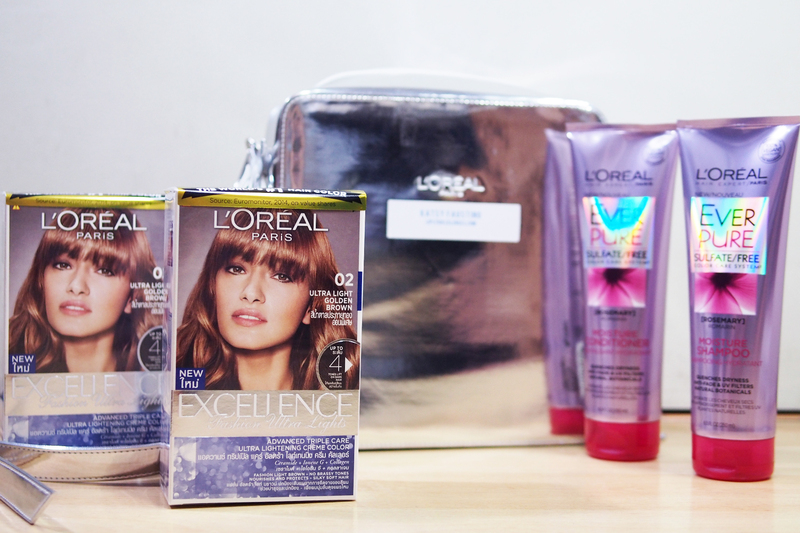 Have you tried out the L’Oreal Ultra Light Hair Color and L’Oreal Ever lines?